Few of Dubai Roller Derby’s skaters are native to Dubai/the United Arab Emirates. This is not because we have any kind of restrictive or exclusionary policies but because of the U.A.E.’s demographics. Roughly 80% of the population is expatriate. Local (Emirati) women also tend to be from more protective family backgrounds. Athletic Emirati women are certainly the exception to the rule although this is slowly changing. We’re proud to skate with some of these exceptional women. Possibly the primary factor that limits the growth of derby in this region is the transient nature of the population. Most people come here early on in their careers, at a time when their lives are changing rapidly, stay for a few years to benefit from the tax-free environment, before returning to their native countries to establish more permanent homes. While they’re here, they take advantage of Dubai’s proximity and ease of access to many tourist destinations, and travel frequently. This constant turnover of people, and serial absence of skaters makes it difficult to plot and monitor progress of an individual skater, and of the league. Expatriates also tend to take long breaks from work in the summer to escape the scorching, draining temperatures. This discontinuity certainly slows our progress. I’m sure this is the case for other cities that have a high percentage of expatriates such as Abu Dhabi, Hong Kong, Cairo, and Bangkok. Another factor that has severely hampered our growth is the lack of infrastructure to support us. At the peak of the quad skate fashion, the U.A.E. was little more than a desert, and as such, has no old roller rinks, no old skates, no former wheely-disco-divas. Although today we do have an indoor ski slope! Culture probably does play a significant factor in our challenges as the athletic development of girls and women is considered secondary to their moral well-being. Athletic facilities that women use are primarily built for men. We know that many derby leagues began in parking lots etc., but try skating in 99% humidity, and 50°C. Recently, finding a decent sports hall with skateable flooring, has given our league a much-needed boost. With a consistent practice location and regular times, we’ve gained a good reputation, garnered a lot of media attention, and gotten a lot of new skaters. As it stands, the Roller Derby World Cup’s eligibility rules need to be modified to be able to include places like the U.A.E., Singapore, Hong Kong, Qatar, Egypt, etc. and our particular social make-up. My biggest hope for derby is that it develops to make provisions for teams like ours. I don’t want much else to change. I worry that as the sport grows, people jump on the bandwagon and beat the horses. Right now, I like that derby isn’t about money. I like that I’ve got an international sk8rhood. I like that we’re fierce, and I like that we have to fight for our right to party. Please feel free to give us your feedback on this article, and the opinions expressed. 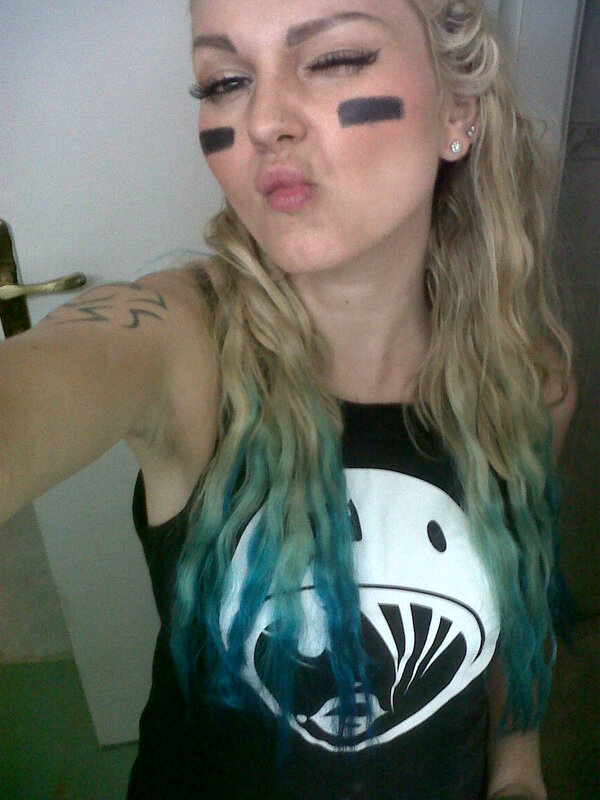 I'm Jetson, #0, from Dubai Roller Derby league. 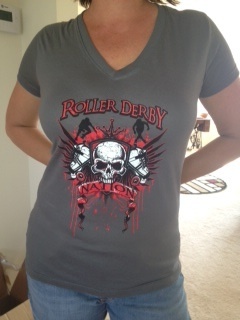 If it’s merchandise that you’re after; merchandise can be purchased internationally via http://dubairollerderby.spreadshirt.com and locally via Dubai Roller Derby directly. Drop us a mail!